The massive recall of one of Samsung's flagship devices is an embarrassing setback for the world's biggest selling smartphone maker. The Note 7 was unveiled just a month ago, and big rival Apple (AAPL) is expected to show off its new smartphone next week. 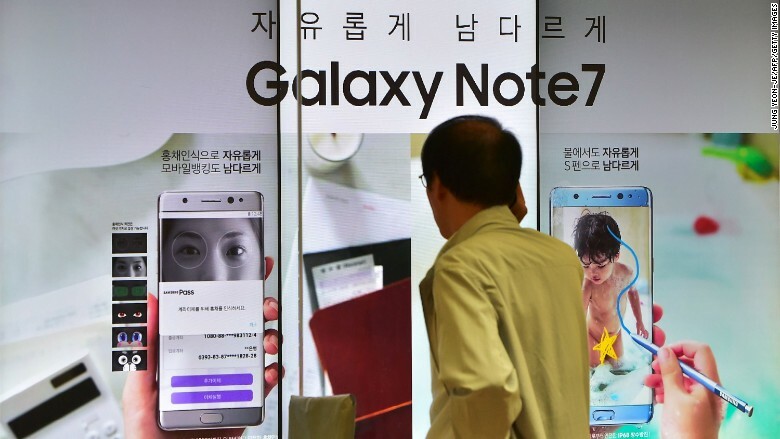 Samsung (SSNLF) said Friday it had found a problem with the battery in some of the phones and was halting sales in 10 countries, including South Korea and the U.S. It will offer customers a new product for free in the coming weeks to replace the 2.5 million Galaxy Note 7s that have been sold. 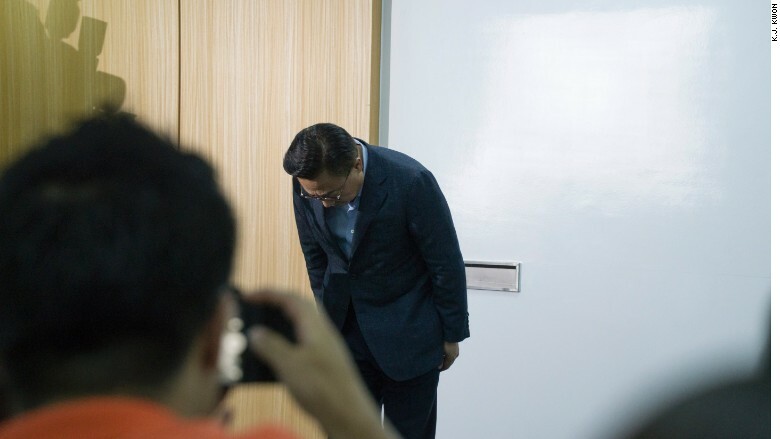 Samsung said devices in China don't appear to be affected because it used another battery supplier. But it was unclear if models sold in China would nonetheless be recalled. More details about how the recall program will work will be announced shortly, the company said. In the meantime, people worried about their batteries should contact their nearest Samsung service center. Target and Amazon said Friday that it has stopped selling the phone and is working with Samsung to replace the devices already sold in stores and online. Amazon and Best Buy have also said they are no longer selling the Note 7. Best Buy customers can return or exchange the phone if they already bought one. U.S. mobile carriers AT&T, Verizon, T-Mobile and Sprint have suspended sales. Meanwhile, Sprint is offering up similar devices for customers to use during the recall process. 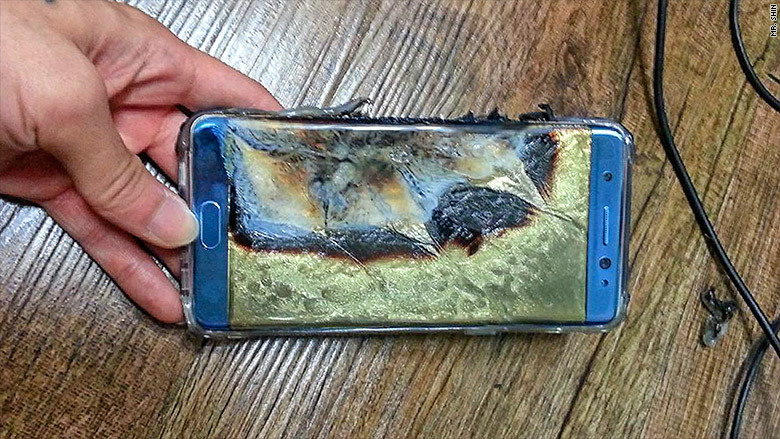 A Galaxy Note 7 owner in South Korea, who asked that he not be identified, told CNNMoney he was awoken in the middle of the night when he "smelled something burning." His phone had melted and he used his older model Samsung, Galaxy Note 2, to take photos that he posted online. 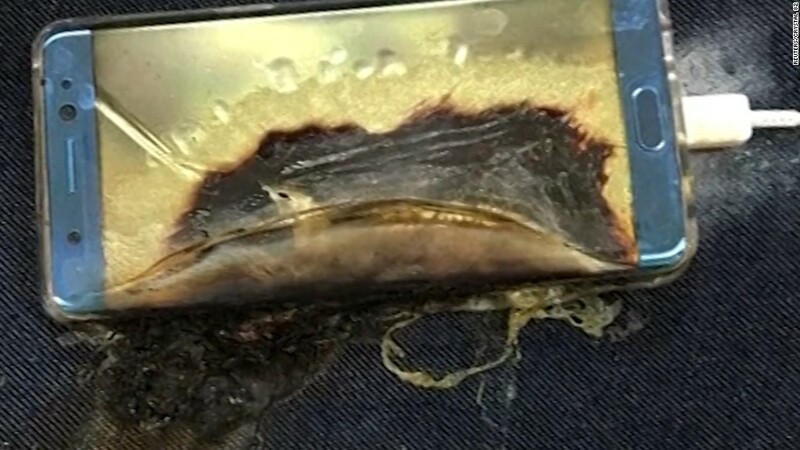 "I saw small flames on the phone where it was melted," he told CNNMoney. "It disappeared soon after." Samsung had the biggest share (22%) of the global smartphone market in the three-month period ending June 30, according to research firm IDC. By comparison, Apple held 12%. -- Felicia Wong, Hope King and Julia Horowitz contributed to this report.